Women have worn dresses to work from the very moment they stepped into the workplace. A dress is quick to dress in, easy to wear and the perfect garment to wear when you wish to portray both femininity and professionalism. After what dress styles suit me, the next fashion conundrum most women face is what styles will best meet the standards of my workplace and afford me the best level of professionalism. This is especially so given we’ve strayed so far from formal business attire and business casual is still a confusing state of dress for many. Seek out tailored details like pleating, collars and lapels. Pronounced pleating or box pleating are details that both add to the structured feel of a typical dress. Collar and lapel features echo traditional menswear suiting details and add to the professionalism of your ensemble. These tailored details allude to suiting, which is go-to work attire, while still keeping the feminine dress silhouette. Shirt, sheath, and wrap dresses are your best bet. Sheath dresses are form-fitting dresses that hug the figure. This type of dress is usually simple and plain, which is not to say it’s boring. 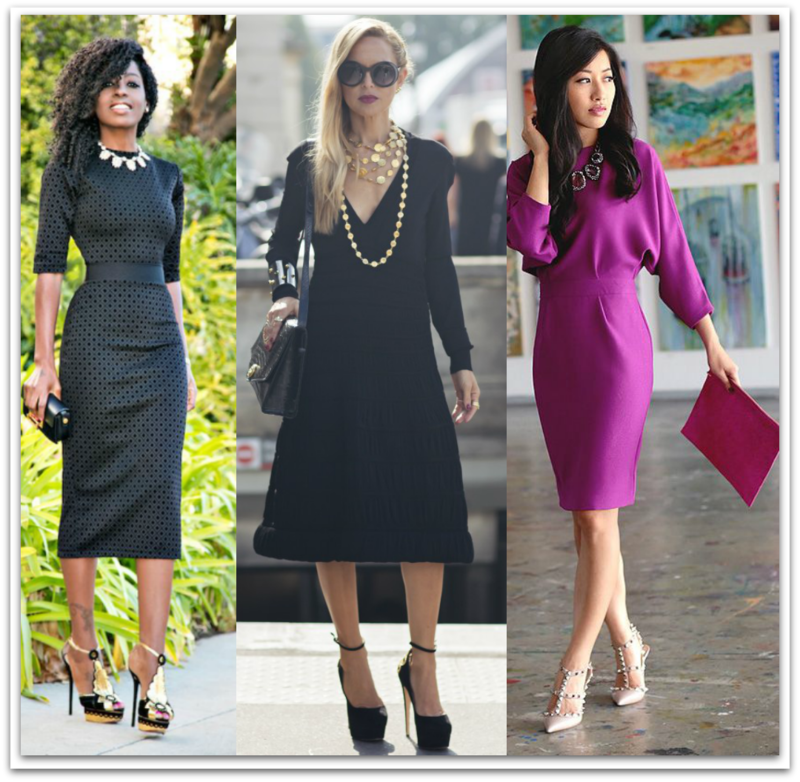 Sheath dresses are a great option to always have at hand since there are so many ways to style them. 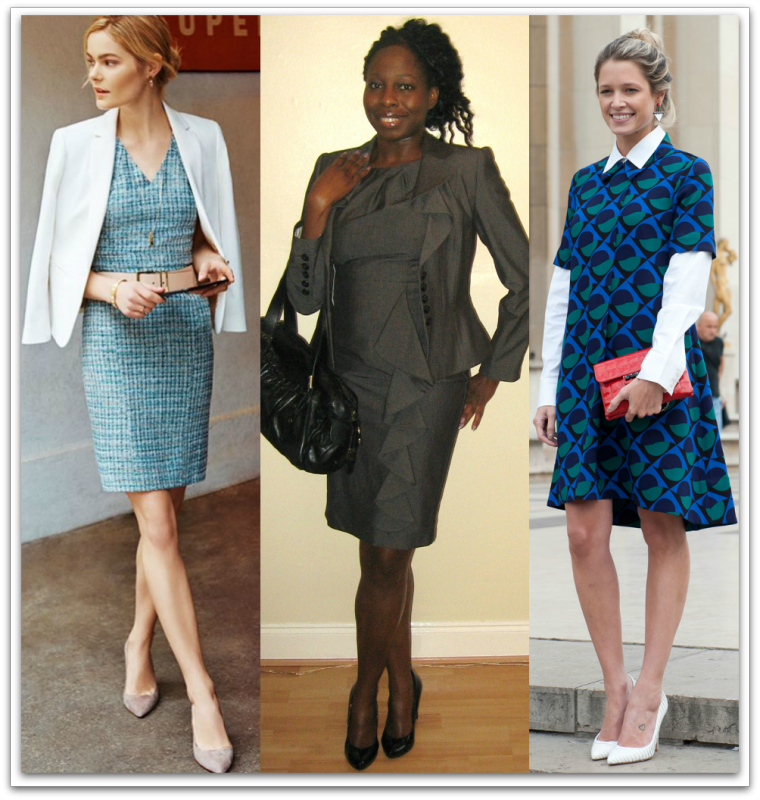 You can opt to wear it on its own at the office or layer more structured or tailored pieces over it. Bold colors like red are great for making a statement for those all-important presentations or meetings, but you can’t beat neutral colored sheath dresses for sheer versatility. 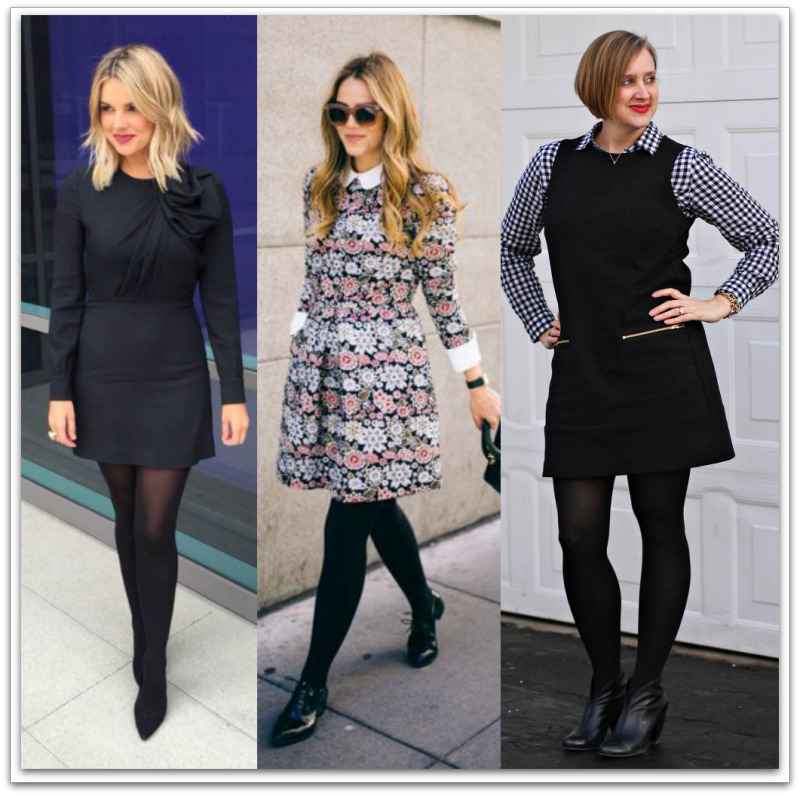 Shirtdresses are another viable option for your go-to work dress. 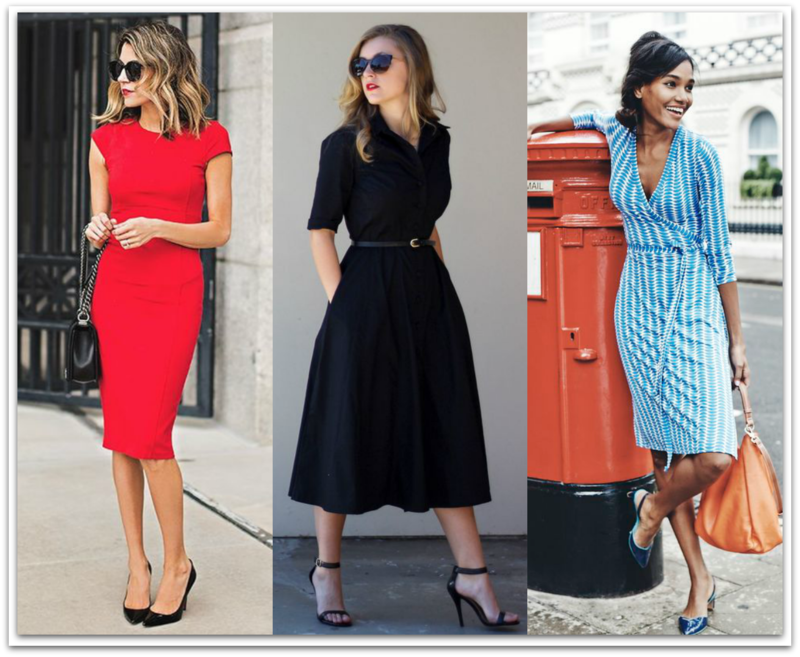 The A-line of shirtdresses are universally flattering, plus the button down feature and collar shows that you’re keeping work appropriateness top of mind. Keep patterns reined in for a professional feel. Don’t limit yourself when dressing up for the office. 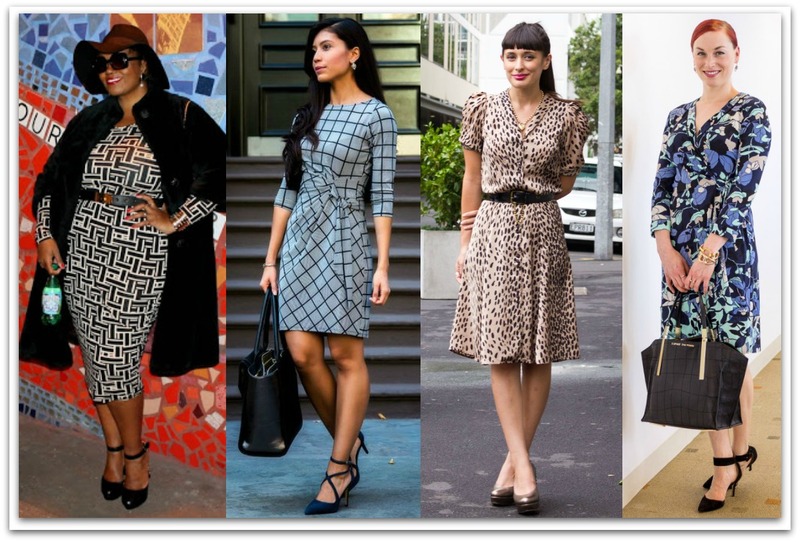 If you have an affinity for prints and textures, you can certainly bring this love to your work style. Professionalism should always be your priority, but it can be balanced by trendy prints and textures. Keep your print colors to those that associated with trust, strength or professionalism such as black, navy, white, red etc. Clean, clear colors often work better than muted/dull/dusty colors. 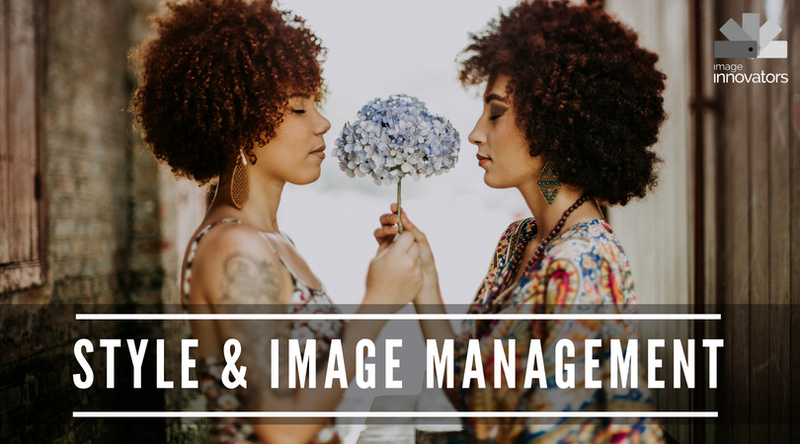 Steer clear of oversized or loud prints and colors associated with childhood or fun which tend to look out of place in a work environment and diminish your credibility. 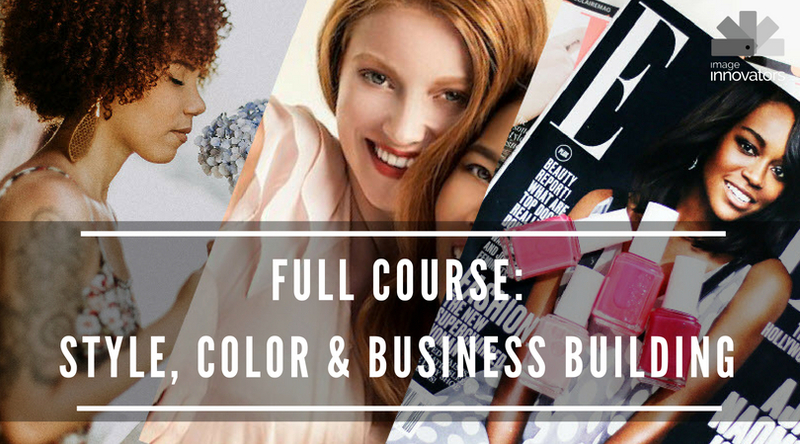 Covering up has long been seen as most appropriate for serious business attire. And even fairly recent studies have shown that the more covered you are the more formal/professional you’ll be viewed. If you are unsure or want to raise your image err on the side of wearing sleeves and hosiery. At work you want the attention centered on the job at hand and your intellectual contribution, nothing else. Exposing cleavage, wearing minis, thigh-high slits or a skin tight dress may attract attention but not the type that advances your career. Not only is it distracting it can cause bad blood in an office if you are perceived to be using your sexuality to gain attention or favor. Wearing a blazer over a dress instantly increases the professionalism of your look. It also adds an extra bonus of giving your look more structure which gives the visual illusion of a trimmer waist and broader shoulders. Wearing a crisp shirt underneath a dress also affords the dress a hint of tailored detailing. Structured boxy envelope bags and satchels maintain the modern elegance and sophistication of your office ensemble. Avoid open-toed footwear in favor of pumps in basic neutrals. Extending the formal feel to your accessories is key to giving your office look style harmony, and finishing it off with extra polish. When it comes to jewelry, understated is the call of the day. If you want to up the ante and add a statement necklace keep your other items refined. Cinching your waist with a belt has the added benefit of giving you a waist, but even more than that, a belt upgrades your work dress by making the total outfit look more put together. 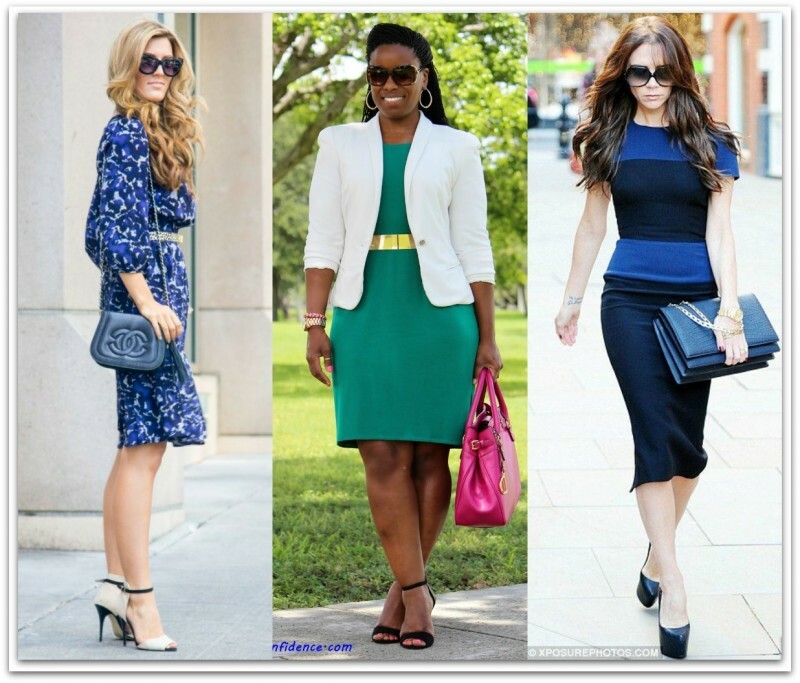 One of the best things about a well-considered work dress is that it will be versatile. With a change of footwear and the addition of statement accessories, your work dress can go from night to day, from office to a chic restaurant. Don’t shy away from collar necklaces with shiny and bold baubles. Embrace your love for bright and beautiful heels. These things will help you a lot in taking your look from everyday work wear to evening glamor. Don’t underestimate the addition of black tights. This classic outfit add-on will give your work dress the extra push it needs to achieve a whole new level of chic. I’d like to see clothing more targeted to 50 plus women in the workplace . Hi Sheila, Every single one of these tips are appropriate for women of fifty. I’m interested to know which ones you think are not. It’s hard enough to pictures to illustrate my points little loan mature women – you’ll have to use your imagination I’m afraid.